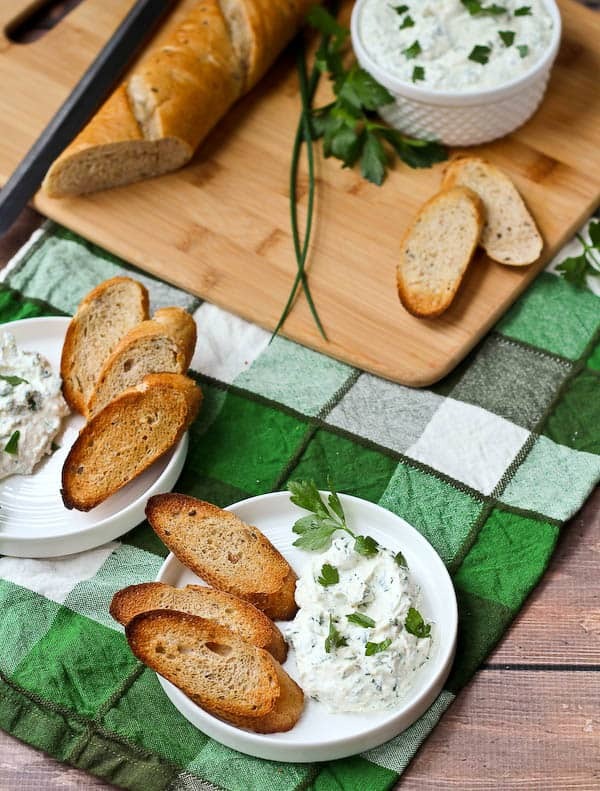 This herbed feta dip recipe will be the star of your next holiday gathering! It’s tangy and unbelievably flavorful thanks to tons of fresh herbs – including one that may surprise you! This post is part of my partnership with Milk Means More. Growing up, I was far more picky about food than I am now. I didn’t like parsley, chives, feta. I pretty much would have hated this dip. Now, I can’t get enough of it. It’s funny how things like that change. I hope that my son (N) grows to like more food. Right now he’s unbelievably picky. Add allergies to nuts and sesame on top of that and he pretty much only eats strawberry cream cheese sandwiches (on carefully selected nut and sesame-free whole wheat bread) and macaroni and cheese. But not spiral or shell shaped pasta. Heaven forbid. He does accept Star Wars shaped pasta, though. And Ninja Turtles. And yes, I buy that stuff. The kids love it, it makes them happy, and we have a peaceful lunch. No mom guilt here. Plus I always add peas. So there. And he eats eggs too. Yay for protein! I would love to see him grow to enjoy a more diverse spread of foods, though. Of course. It’s painful as a food blogger when your kid is already talking about how much he dislikes dinner before I even start cooking it. In the meantime, I just keep offering it to him, requesting that he try one bite and if he doesn’t like it, he doesn’t have to eat any more. And I always try to offer him at least one or two things on his plate that I know he’ll love. I know some people think that if you have a picky eater, it’s all the parent’s fault. I can assure you, that is not the case. Back to the dip. Since overcoming my dislike of parsley, I’ve transitioned into a slight obsession with it. I use it as a garnish (how 90’s of me, right? ), and I adore it in salads. I tear off the parsley leaves whole and add them to the greens – the bright flavor it imparts is a salad game-changer. It’s only natural I would use my new(ish) love in a herbed feta dip recipe. After all, parsley is the queen of all herbs, is it not? She’s certainly the most popular girl in the class. I also used chives for a subtle onion flavor and fresh mint. If you’re raising your eyebrow at the mint, just give it a try. It sets this dip apart from other dips. I made it for my grandparents’ 60th (60th!!!!) wedding anniversary party and my aunt was trying to guess the herbs. She couldn’t guess the mint but she knew there was something in the dip giving it a little extra flavor boost. It’s the mint. Make sure to try it before you discount it. A touch of garlic powder and plenty of ground black pepper round out this dip. Smooth cream cheese helps bind everything together and make this super spreadable. I’m telling you, it’s going to become your new favorite. Speaking of favorites, my neighbor Julie tried this dip – she tries many of my recipes. She said that it was her favorite recipe of mine so far and she asked when I would be sharing the recipe. I told her I’d be sharing in December. This was in September. Sorry Julie – here it is! 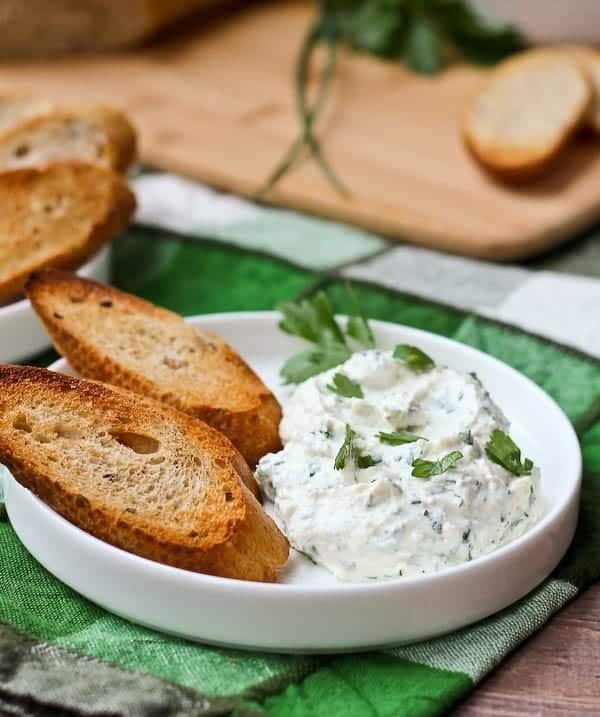 PS: If you like this dip, you’ll love my lemon dill whipped feta! Make sure to watch the video to see this recipe in action! 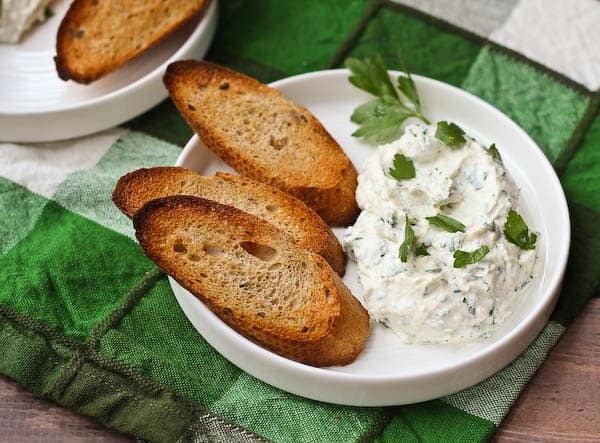 In a food processor, combine cream cheese, feta cheese, water, garlic powder and black pepper. Combine until mostly smooth (will appear grainy – some remaining texture is good). Spoon this mixture into a bowl and stir in herbs until combined. Alternately, you can blend the herbs with the rest of the ingredients – it makes a really pretty green dip! Taste and add salt as desired. 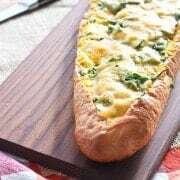 Serve with crackers or toasted slices of french bread. Note: You can adjust herbs to your liking – if you don’t like chives or mint feel free to leave them out or try substituting a different herb. I often up the amount of parsley I use too – I love the fresh flavor of it. 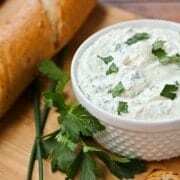 Note: You can also add the herbs to the food processor and blend them in – it makes this dip a really pretty green color. 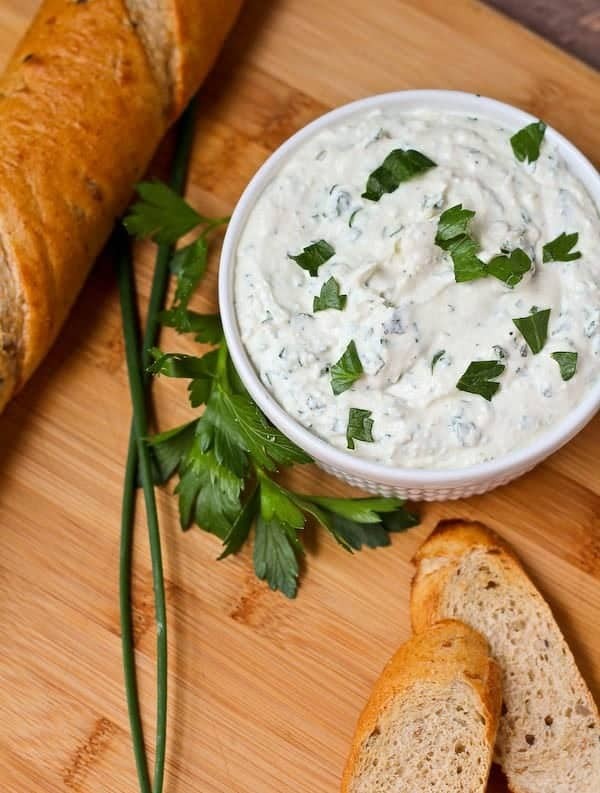 Verdict: LOVE this herbed feta dip recipe. I’ve made it multiple times already. It’s so flavorful and ridiculously easy to make. Plus it’s a good switch-up from the standard party dips. Husband’s take: Honestly, he’s not so crazy about recipes where I throw ALL THE HERBS into them. Not his thing. But this recipe has been given the thumbs up from many other people. 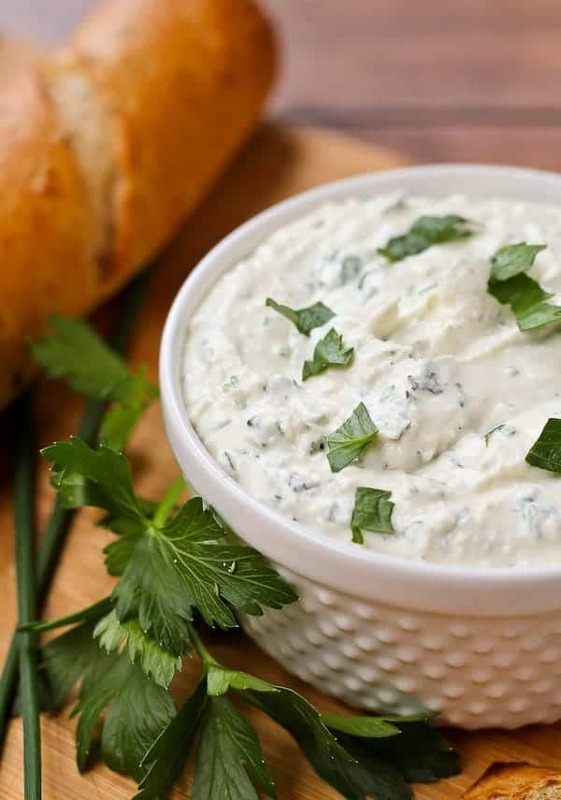 Need more dips for entertaining? Gotcha covered! **Disclosure: I am thrilled to be a dairy ambassador for Milk Means More. I have been compensated by Milk Means More for my time to develop this recipe and write this post. All opinions are as always, my own. Find out more about why Milk Means More on Twitter, Facebook, YouTube, Instagram and Pinterest. This is great! It definitely tastes better after a day or so. I love to spread this dip on top of my turkey burgers. Ha! I hate when my kids ask “what’s for dinner” because I don’t want to hear their grumblings. I love this dip, I would could make a meal out of this! LOVE this for a simple appetizer, and healthy and fresh! You had me at feta. 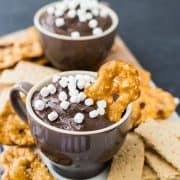 I agree with you that mint is a surprisingly versatile herb paired with others! I need to bring an appetizer to a party Friday nigh, was just thinking about what to bring. The answer is THIS. My kids are pretty picky, too, which people are always surprised to find out since I’m a blogger! 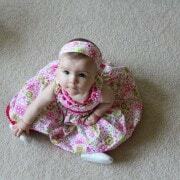 I can keep trying, and hope that one day they love everything as much as I do. And this dip? Dying – feta is one of my favorites!! I used to be WAY pickier as a kid too. Now I eat ANYTHNG…well, except olives. But there are none of those in here so I could make a MEAL out of this dip! Pinned! I don’t like olives either! And yes – definitely could make a meal out of this. My neighbor also paired it with grilled chicken on a sandwich. I’m obsessing over that idea and need to make it happen, stat. I don’t know anyone who could say no to this dip!! 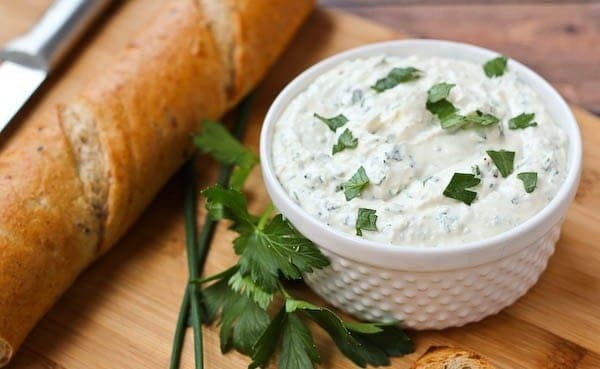 What a fabulous, flavorful dip, Rachel! Perfect for all the upcoming holiday gatherings!